Nice to see you've managed to solve the problem I'm having. I have yet to post a picture from my iphone directly to my blog. Each post results in an empty link. Blogger list it as a bug with the iphone, saying don't put any text after the picture - however, I have a feeling Yahoo do that anyway, hence to problem! Interesting you work in Essex - as do I!!! How about creating a gmail account with Google and setting up your iPhone to send mail through gmail? When I post images to this site, I write the text above the picture. Where do you work, Duncan? I think your idea could well work. The only problem is Gmail is not push email friendly while Yahoo is. Another slight problem is the second I created a Gmail account I was overrun with junk mail – I have it filtered out but it’s just a pain and I could well miss stuff because of the filters. I work in Hutton, at Willowbrook Primary School. I found your blog while trying to find a solution to the blogger fault. Interesting to see that you know Stephen Heppell. 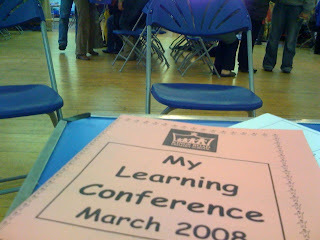 I went to Anglia while he was there and am about to work with him on a new build project at my school. The clip of you all sailing looks fantastic fun – never tried it myself. I liked the way you were all sat on the deck chilled out and then suddenly all jumped up to race around the boat and work at your various jobs.